Jonathon Stewart and the Panthers took the Falcons to school on Sunday. As the NFL playoffs near, we see teams jockeying for playoff positioning, and pundits making arguments for which teams will do well in the postseason. 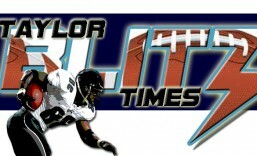 The Taylor Blitz Times is no different in that regard. The most interesting scenario that has occurred this season is no one believes in the teams with the best records. The Atlanta Falcons along with the Houston Texans were handed big losses and the chant of “over-rated” reverberated throughout the NFL fan-base via twitter & facebook. Even NFL.com ran a story to this degree, however appearances can be deceiving. If you look at the two teams and each loss, they’re very dissimilar. The Houston Texans took to a big stage to show the defending AFC Champion Patriots and the rest of the conference that they were to be taken serious. Homefield advantage throughout the playoffs is at stake and everyone watched them get obliterated 42-14, on Monday Night Football in a game where everyone had this date on the calender circled for months. The Falcons /Panthers game was nothing like that. It wasn’t one where Atlanta needed to prove themselves. They have already been to the playoffs four straight years and for the first time may have homefield throughout. They were just caught off guard by a division opponent who knows them and matches up well against them. In their earlier match-up this season, Carolina had the chance to run out the clock on the Falcons, but a Cam Newton fumble under 2 minutes to go kept them from a game clinching first down. After a punt that pinned Atlanta to their own 10, Matt Ryan launched a 60 yard bomb to Roddy White on the next play which helped set up the game winning kick by Matt Bryant. That 30-28 win established two things: The first is the Falcons’ ability to come from behind and win close games as they have all year. Do you realize the Falcons are 8-1 in games decided by 7 or less this season?? That is the mark of a champion. The second, it established the Panthers as a team that could give Atlanta’s defense fits running right at them. Try to the tune of 199 yards, then 195 last Sunday, which allowed Carolina control of the clock and the line of scrimmage. As each team gathered in their second loss, the buzzards started to circle. For us the real measure of what took place on Sunday and Monday Night, showed the Texans on the short end of the stick. They lined up against the team that played in last year’s Super Bowl and were beaten soundly. Most of the talk after last year’s playoff run was “Well if we would have had Matt Schaub…” Last week, they had him and he turned in a lackluster 19 of 32 for 232 yards and 1 interception performance. It didn’t seem he was as big as the game they were playing, lacking leadership and fight throughout. Nevermind his earlier Pro Bowl status…this was the proving ground for him and his team. You had Arian Foster, who has led the NFL in rushing and all he could muster was a 15 carry 46 yard performance. Hell teammate Ben Tate ran for that much in garbage time. 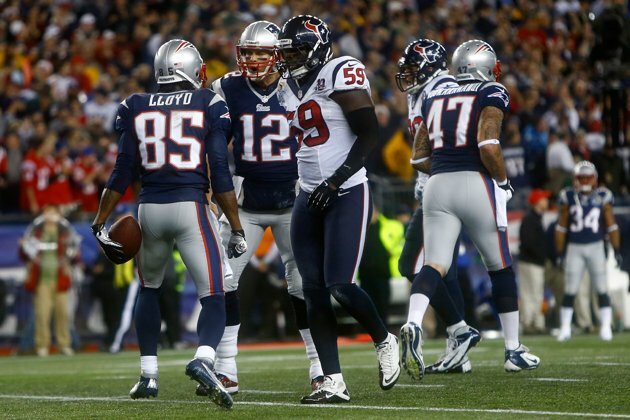 Once you include Andre Johnson, none of the vital signs for Houston were functioning when the clock struck zero. As for the Falcons, Coach Smith needs to keep the ship steady yet find out what has happened to their offensive rhythm. In the last two weeks they have averaged 322.5 yards per game when in the previous 4 weeks the average was 421.5. That translates into a time of possession difference that may make the Falcons more beatable than in the season’s first 10 weeks. Each has work to do but the psychological fallout from the loss in New England gives the Houston Texans the tougher hill to climb. This entry was posted in 2012 NFL Regular Season, 2012 Regular Season and tagged Atlanta Falcons, football, Houston Texans, NFL, sports. Bookmark the permalink. Matt Ryan is 0-2 against defending Super Bowl Champions and have the Giants this week. The Falcons will slide into the playoffs. Houston made the Patriots game their Super Bowl and looked like a JV team. They are rattled now and better bounce back against the Colts. The AFC Championship will be played in Foxboro.